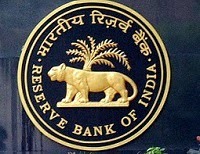 The Reserve Bank of India (RBI) on Thursday said foreign investors, including Foreign Portfolio Investors (FPIs) and Non-Resident Indians (NRIs), can invest up to 26 % in insurance sector and allied activities such as-insurance companies, insurance brokers, Third Party Administrators (TPAs), surveyors and loss assessors, through the automatic route. “Effective from February 4, foreign investment by way of FDI, investment by Foreign Institutional Investors (FIIs)/ Foreign Portfolio Investors (FPIs) and Non-Resident Indians (NRIs) up to 26 % under the automatic route shall be permitted in the insurance sector," the bank regulator said in a circular released on Thursday. In February this year, the government had allowed 26% foreign investment in activities related to insurance like broking, third party administrators and surveyors and allowed FIIs and NRIs to invest in insurers within the stipulated cap. In case of insurance companies, the 26% ceiling will include FDI and investments from FIIs and NRIs, said a press note issued by Department Of Industrial Policy and Promotion (DIPP). Earlier, only FDI under the automatic route was allowed in insurance companies.